Who better to attend to your marriage than “The King” himself? You’ll get some great photos as memorabilia and you’ll even get to see Elvis perform a few of his all-time greatest hits after the ceremony! 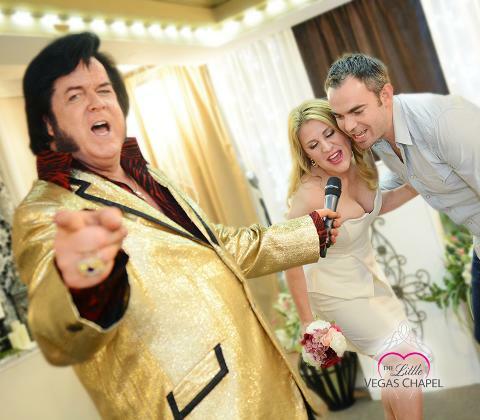 If you always wanted a fun Las Vegas wedding, NOTHING beats the experience of our Elvis weddings in Las Vegas. 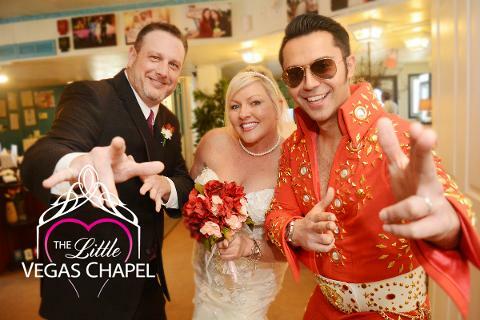 This Elvis wedding package does not include the $60 cash only minister’s donation. 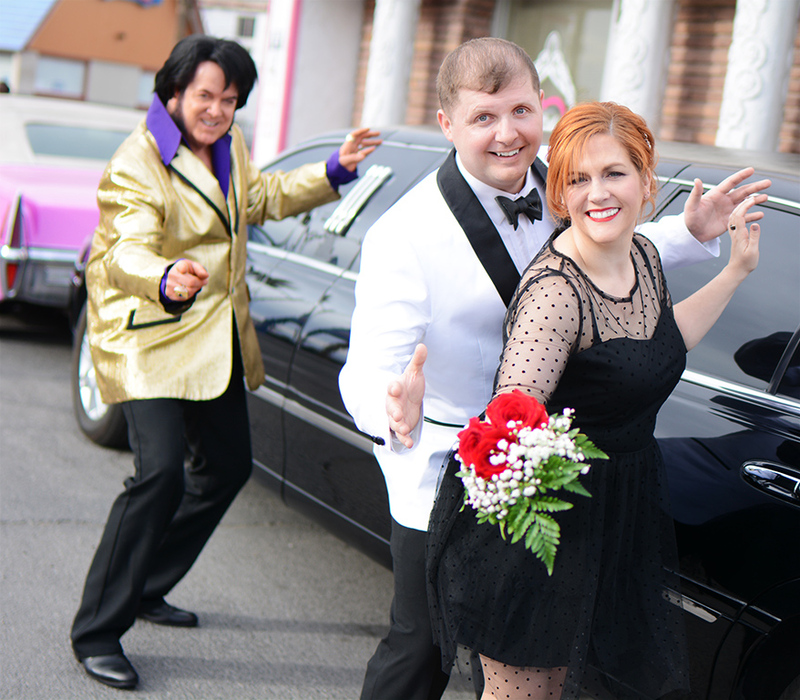 Our awesome chauffeur’s gratuity is suggested from $40. It's also courteous to tip your photographer!